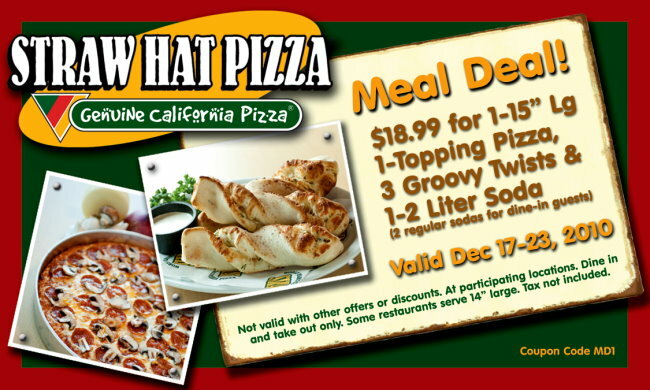 Straw Hat Pizza: Pizza Meal Deal! Didn't want to have my parking space taken by nearby mall shoppers, so I just ordered a Large Hawaiian pizza and a salad and in 30 mins I'll be a happy camper.. Glad to know some things don't change -- been going to SHP stores since I was young. Cool! Cerritos is one of my nearby locations too.